In the Netherlands, the Energiesprong network is known as ‘Stroomversnelling’. 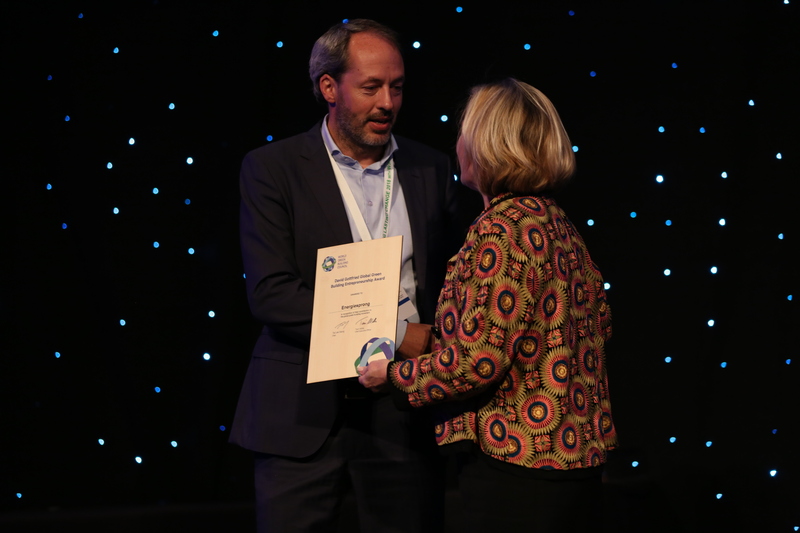 This association originated from an earlier government funded Dutch innovation programme called Energiesprong, which aimed to create Net Zero Energy (NZE) buildings on a large scale. In 2013, Energiesprong brokered the “Stroomversnelling” deal between Dutch building contractors and housing associations to refurbish 111,000 homes to NZE. Two years later, Stroomversnelling evolved into a market initiative designed to take NZE to the next level. In other countries the name Energiesprong is still in use. The Stroomversnelling network consists of contractors, component suppliers, housing providers, local governments, financiers, DSOs (energy system manager) and other parties. Its objectives are to reduce the renovation costs of NZE refurbishments, increase occupants’ acceptance of these renovations and increase the pace of growth in the NZE housing market itself. 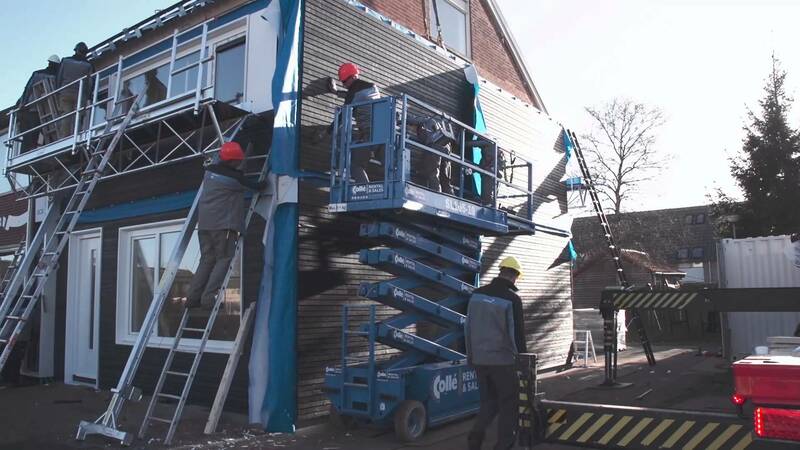 In the Netherlands, 1300 Net Zero Energy refurbishments have been realised so far and a further 500 Net Zero Houses are being built. 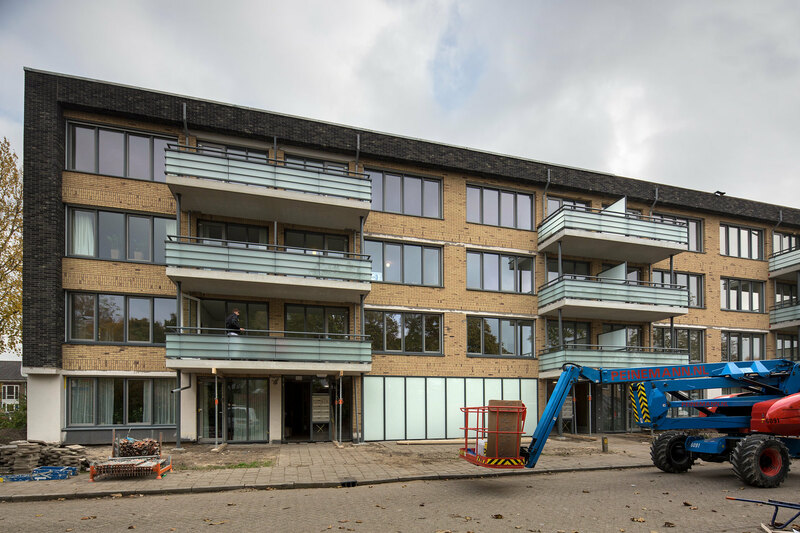 Read about some of the projects at http://stroomversnelling.nl/projecten/ (in Dutch) 15.000 more buildings/refurbishments are planned. The last years twelve suppliers have developed and refined practical NZE concepts for terraced houses and the first Net Zero Energy concepts for apartment buildings of more than 5 storeys high is soon to be completed. This was and still is a challenge. Partly because of the limited roof surface on apartment buildings. The limited space makes it impossible to put sufficient solar panels on the roof to supply all the apartments with enough electricity for heating, hot water and household appliances. That is why innovation is needed for these building types. Another challenge is that a lot of these building types are privately owned in the Netherlands. Because of that Stroomversnelling, next to improving concepts, is focusing on finding a solid financial solution for private homeowners to finance net zero energy refurbishments for these buildings. Smart-thinking and innovative partners who can work on an industrial scale are necessary to get the costs for Net Zero Energy refurbishments down and the quality up. One of the innovative partners in the Netherlands is Factory Zero, a start-up and incubator established under the NWE interreg project E=0. Factory Zero works in close cooperation with innovative players in the building supply industry to develop, produce and deliver complete Net Zero Energy systems. 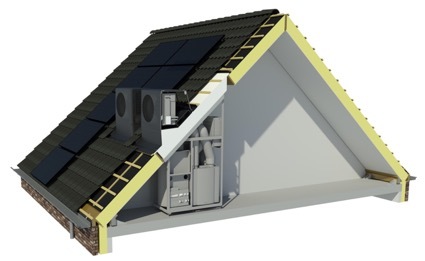 It is the first start-up that has successfully built an installation module that is not only smaller, better and smarter, it’s also cheaper and it looks great. VolkerWessels, retrofit in one day!